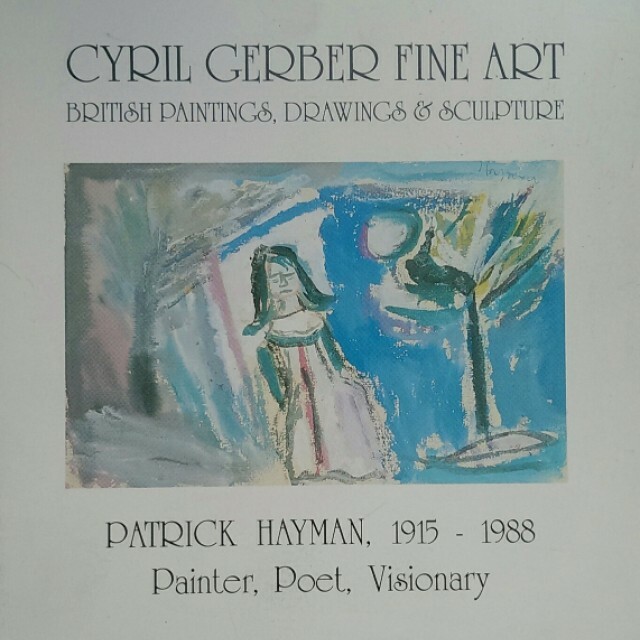 Patrick Hayman (1915-1988) was born in London. He started painting in New Zealand where he lived for 11 years from 1936 until 1947. On his return he lived and worked in London and Cornwall, mainly St Ives and pursued an extensive career of exhibitions both in group shows and solo exhibitions. As well as exhibitions in St Ives, he had shows in London and Canada. Hayman was also included in numerous important Group Shows in the Institute of Contemporary Art, The London Group, Camden Arts Centre, Crane Kalman, The Hanover, The Leicester, Redfern, Gimpel Fils, Roland Browse & Delbanco and the major exhibition St Ives 1939-1964 Paintings, Sculpture and Pottery curated by Dr David Brown, The Tate Gallery 1985. Many important public collections contain Hayman's work including The Tate, london; Gulbenkian Foundation, Lisbon; Scottish National Gallery of Modern Art; National Art Gallery of New Zealand; Auckland City Art Gallery; National Gallery of South Australia; Carleton University, Ottowa; Glasgow University; Nuffield Foundation Trust and many other museums and universities. From 1958 to 1963 he was founder editor of the Painter and Sculptor and in 1988, the year he died, a book of his Painted Poems was published. This exhibition is Patrick Hayman's first solo exhibition in Glasgow.